The cottage boasts breathtaking sea views, and is conveniently situated within walking distance of the beach as well as Seadoone Mall. On windy days when the beach is inhospitable, the pool is always an option for some rest and relaxation. The Log Cabin itself is comfortable and has the familiar feeling of an old friend, cozy with all modern amenities. The cabin can accommodate up to 4 guests and contains 3 bedrooms, 1 bathroom, and an open-plan kitchen and lounge area. The first and second bedroom contains a queen-size bed each. The third bedroom contains 1 daybed that can convert into 2 single beds. Every bed has a down duvet, feather pillows all dressed in cotton percale linen. Extra linen is available. Each room including the lounge has a ceiling fan. The bathroom contains a shower, a toilet, and a washbasin. We provide towels, shower gel, shampoo and conditioner. A small first aid kit , contained in the bathroom cupboard, is available in case of a minor emergency. The kitchen is fully-equipped for self-catering and includes a stove and oven, a fridge-freezer, microwave, dishwasher, cutlery and crockery, pots and pans. We also have an iron and ironing board available. The lounge area contains a flat-screen TV, DStv decoder with full bouquet and sound bar. Uncapped WiFi is included, the WiFi password has been placed on the fridge door. The lounge opens onto a covered patio with outdoor seating, and a Weber and a Skottle Braai are available too. 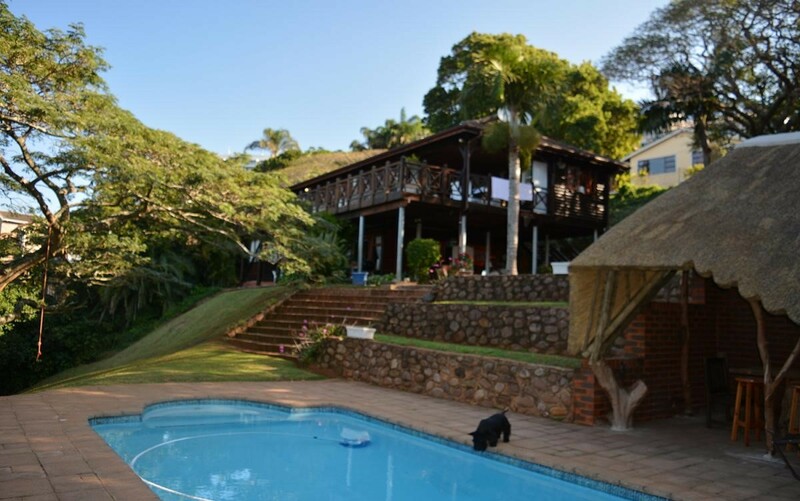 The Switchit’s Cabin is a 30-minute drive from Durban and a 45-minute drive from King Shaka International Airport.